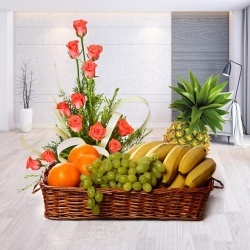 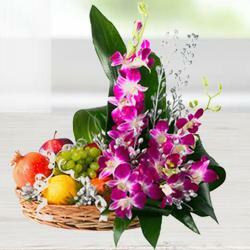 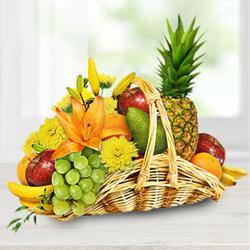 Love is best expressed by sending this gift of Tropical Fresh Fruits Basket decorated with Orchids to your near and dear ones. 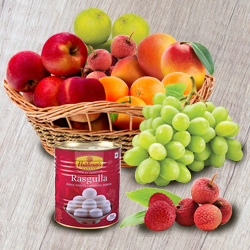 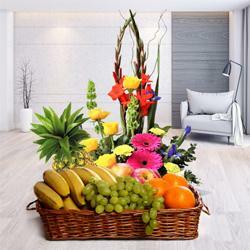 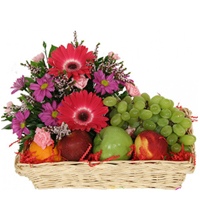 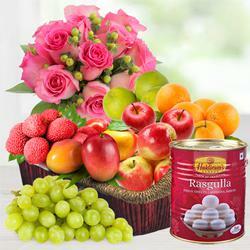 This unique designer Basket is enclosed with 2 Kg Mixed Fruits (1 Kg Apple, 1 Kg Seasonal Fruit) decorated with Orchid stem. 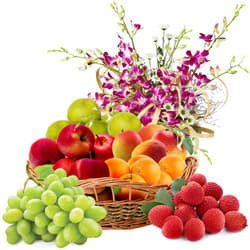 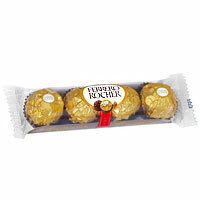 (Note: Image is indicative, we shall deliver any one variety of the best quality seasonal fruit available in the market).